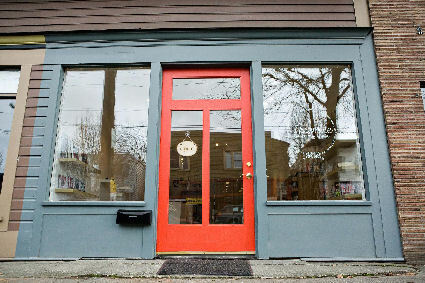 style-spark#1: I came across a terrific new shop/gallery called Assemble; I was out for a walk and there it was. Owners Andie and Emily have integrated a gallery space, a workshop studio, and a retail shop to host creativity of all kinds. The studio offers classes such as Art Journal: Nature Retrospective, Crocheted Earrings & Jewelry and Printmaking Basics. 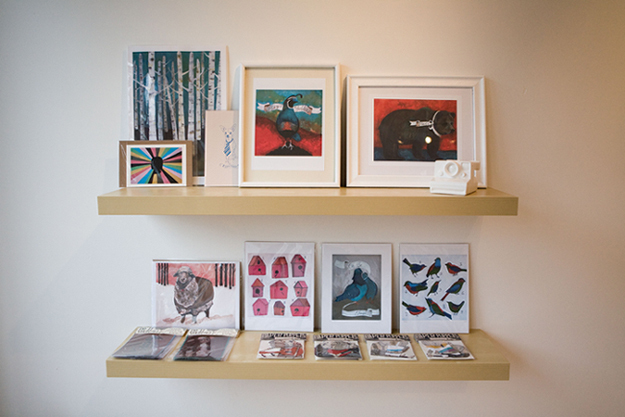 The gallery features installations by artists such as Karl Addison. 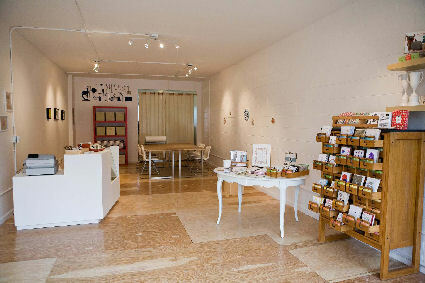 And the shop has some clever and creative products. If you live in Seattle, look for it on Greenwood Ave.
style-spark#2: I was reading a list of tips for 2010 recently, one the tips was: send postcards. 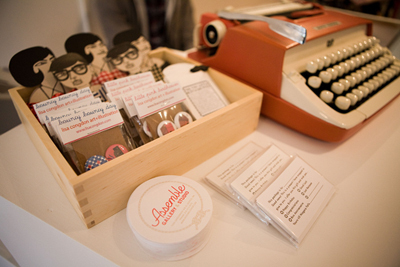 Well, lo and behold, Assemble carries a great line of postcards and more from Yellow Owl Workshop. 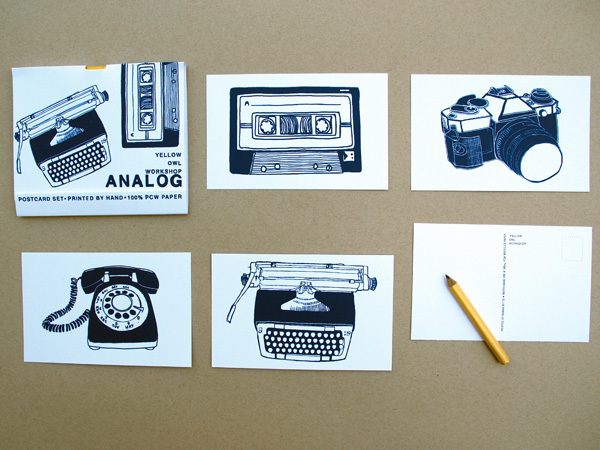 Here’s the Analog Postcard Set, which sells for $10 (and it even comes with a pencil). P.S. We can’t all pop into Assemble, but don’t fret, you can shop for Yellow Owl Workshop products online.